See also Special Dental Cleaning Promotion. Providing cash rewards for qualified referrals. We are offering our new patients free teeth whitening when they have a complete exam at our office which includes dental check-up and cleaning along with any appropriate X-Rays needed. Special Dental Cleaning Promotion. Are your teeth bright, clean and healthy? Would you like to feel more confident when you talk and smile? Let your gorgeous smile be your greatest asset! At Competitive Dental Hygiene Clinic we believe that nothing enhances your appearance and boosts your self-confidence like a great smile. 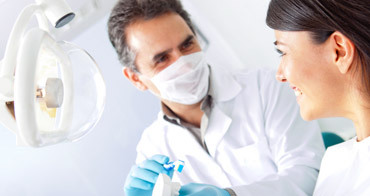 The Competitive Dental Hygiene Clinic is all about you, the patient. From our convenient location to our practical extended office hours, we will make your visit enjoyable and easy.The Competitive Dental Hygiene Clinic was opened by Inga Olm - Registered Dental Hygienist - independent dental professional regulated by College of Dental Hygienists of Ontario.When the Ministry of Health of Ontario recognized the importance of good oral health for maintaining overall health, they allowed Dental Hygienists to self-initiate and perform their services independent from a dentist. Dental care is an area where everyone is looking for the best service in absolutely every sense of the word, and this is exactly what Competitive Dental Hygiene Clinic aim to deliver. At Competitive Dental Hygiene Clinic the focus is purely on you and getting you to look and feel your very best with a healthier brighter smile. 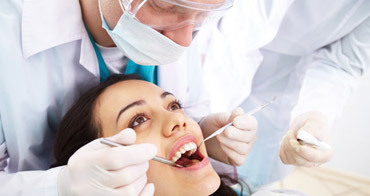 Whether you have dental insurance or not, you can get your teeth cleaned as often as you want. Our professional team at Competitive Dental Hygiene Clinic would like to offer you and your family a special bonus. Please check in on a regular basis for upcoming specials! * Cleaning promotions for new patients. * FREE whitening for new patients! * Referral program. Get paid for referral! Everyone was friendly from my time of arrival. Although I had not been to the hygienist in a while I was not put down about it but treated with dignity and friendliness that encourages me to continue with further treatment. Thank you. Only second visit and very impressed, clean comfortable and welcoming. I have seen the dentist and hygienist and couldn’t have been treated any better, Thank you! Inga does an awesome job, having had my teeth cleaned here many times. Clean, modern looking office.